This section is a critical element of the functionality of the LinksPlus modules. The below configuration is essential in ensuring the ActiveCarrot database can successfully communicate to the Links database. 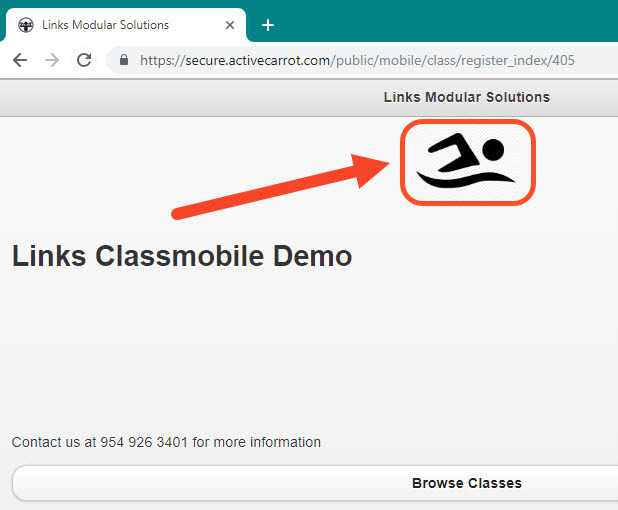 In the case that this configuration fails – there will be issues with writing data between the Links database and the ActiveCarrot database. What is the PC Name where the Links SOAP Service will be installed. This is an API service that pushes data between the ActiveCarrot database and the Links database. Yes – IT have confirmed remote access will be provided to the ActiveCarrot specialist for the nominated installation date. ActiveCarrot will, in some cases, be sending an email on your behalf from an email address that has been configured for automated emailing. Depending on your business’ spam policy for emails, these emails coming from ActiveCarrot on your behalf may be detected as fraud or spam. To ensure ActiveCarrot can send emails on your behalf we will need to add an SPF record to their DNS. Please use the SPF wizard to create the DNS record, grab a screenshot of your form and upload it below. Note: you can choose to not specify URL’s and the defaults will be provided to you. Yes – I wish to mask URL’s. No – I wish to use the default URL’s provided. Please input the email address where you wish for top-up SMS reminders to be sent. When your customers first login to Active Carrot they will use their email and this default password to login. It will recognize that they are a first time user and guide them through a process to validate their email address and set their own password. The below are mandatory fields in Links that need to be populated for the correct functioning of ActiveCarrot. Decide on a new Till for Online Transactions. Decide on a new Staff Member that all online membership sales will be tracked to i.e. Mr Online Sales. Decide on an Access Point for session attendance records i.e. Online Bookings. When customers are sent to ActiveCarrot for their profile to be setup it is important that dummy details do not get sent. This will avoid accounts having to be manually changed as your Customers provide a real email address. Many sites have email collection as mandatory and therefore use a dummy email such as noemail@clubname.com. Please list below all the dummy email addresses that you currently have in your Links database. These will then be setup in your blacklist and anyone with that email address will not be setup for Active Carrot until they have supplied a real email address (real being defined as something@something.something and not on your blacklist). ActiveCarrot will blast new Customers and changes to Customer data once daily. Please consider your database size, the default blast time is 2:00am and we would suggest this time. What time do you want Customer data to be blasted? The ActiveCarrot Public Pages are public facing URL’s, directing new and existing customers to view or purchase Links products and services online. These can which can be embedded within your current website if desired. This is the online customer-manageable portal where your Customers can log in to view, purchase items and update their information. We will not be using the Customer Portal. A feature that allows your Customers to view their results collected through assessments and recorded in Consult module through the Customer Portal. Only applicable if the Consult module is being used and My Profile is selected. This feature that allows your Customers to contact the centre through the Customer Portal via email. A visual resource available to Customers through YouTube tutorials posted in the My Library section of the Customer Portal. A feature allowing your Customers to view a calendar of their Facility & Session bookings. This function allows your Customers to view their financial history, pay outstanding balances and update their direct debit details through the Customer Portal. Ability for Customers to send a referral email to a friend. A listing of published Memberships available for sale to existing Customers through the Customer Portal. A listing of published Visit Passes available for sale to existing Customers through the Customer Portal. An online portal where you can sell Products to existing Customers within the Customer Portal. Similar to the Online Store, in this portal you have the option to sell Casual Services to existing Customers such as a Casual Swim. A visual schedule available to Customers to book a Facility online. A feature allowing your existing Customers to book into a Group Fitness Session. A view of Student details; including First & Last Name, DOB, Gender and Health Issues. Customers can update these details with this feature enabled. A view of Student’s Class Bookings. The Classes Visual Scheduler, in a Customer friendly view, allowing Customers to view and book into Classes. A live portal where Responsible Persons can see the Class Progress of Students’ Student Bookings. A phone and tablet friendly web application for completing stocktake with a Bluetooth scanner. A tablet firendly web application, designed for in club sign up of members by a staff member. A mobile platform which displays the live class schedule, allowing staff to manage programs and customers to connect with you from tablets and smartphones anywhere. A ‘set and forget’ marketing and promotional tool where campaigns can be personalized and delivered to the mobile phones and emails of members, prospects and customers from the Links database. An online reporting tool that allows you to analyse data across multiple locations. This is the small browser icon that is displayed on the customers browser window. ActiveCarrot is default. Recommended dimensions 16px by 16px. This is the logo that will show on mobile devices where the ActiveCarrot Customer Portal is accessed via a mobile device. Scales to max height of 100px or max width of 80% of screen width (whichever hits first). When a mobile has the ability to save the web page as a home screen icon i.e. iPhones then this is the logo that will save to the home screen. Recommended dimensions 129px by 129px. This is the logo that will show on the Public ClassMobile application. Scales to max height of 100px or max width of 80% of screen width (whichever hits first). Your ActiveCarrot Implementation will need to be scheduled with the ActiveCarrot Project Manager. The implementation of your ActiveCarrot site will then commence on the following Monday. Yes – I can confirm I have nominated a date to for ActiveCarrot setup to commence.